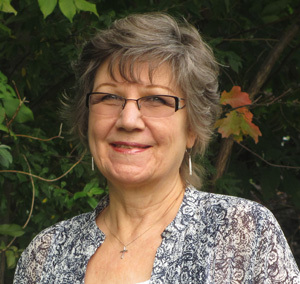 Connie Vander Schel received her training as a Masters’ level social worker from Western Michigan University in Kalamazoo, and is a Licensed Clinical Social Worker. She received her Bachelor’s Degree from the University of Michigan in Ann Arbor. She has treated children, adults, families and couples in therapy settings as well as in medical/hospital settings and child welfare settings. Much of her experience has been with children in foster care or in adoptive placements. She has also worked with families who are adjusting to the painful realities of a divorce. Ms. Vander Schel provides play therapy for younger children, and seeks to include parents in the treatment process when possible. In addition to her work with children and strengthening families, she has worked with adults who are facing a variety of stressors, including marital distress, family dysfunction, and other relationship issues, trauma and abuse, post abortion grieving, anxiety and depression. Ms. Vander Schel is certified in the use of EMDR therapy, and in the use of the Prepare-Enrich pre-marital inventory. She approaches the faith dimension of a client’s clinical issues with those clients who are interested in addressing issues of spirituality. She has also taught adjunct social work courses at local private Christian colleges, and particularly enjoys working with college students and young adults in therapy. Ms. Vander Schel has practiced as a Medical Social Worker, an Employee Assistance Program therapist, a therapist at the Family Resource Center in Kalamazoo, and as a therapist and supervisor at Lutheran Child and Family Service of Michigan. She joined the staff at the Christian Counseling Center as a clinical therapist in 2007, and transferred to Psychiatric Associates in 2014. She is a member of the Christian Association of Psychological Studies, and of the Michigan chapter of the Association for Play Therapy.